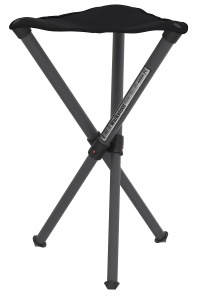 Walkstool Basic comes in two different sitting heights - 50 cm and 60 cm (20 in and 24 in). The seat is made of black polyester and is app. 20% bigger in size than a normal seat for a three legged stool. The legs are grey to match the seat. 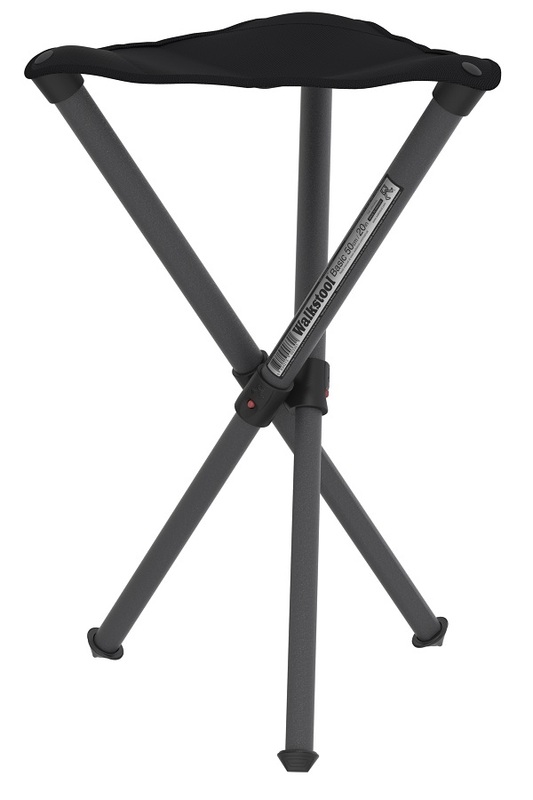 Walkstool Basic 50 has a similar light weight construction as the Walkstool Comfort models, including telescopic legs in aluminum. It is manufactured in Sweden with a quality high enough for most people to use it for many years.